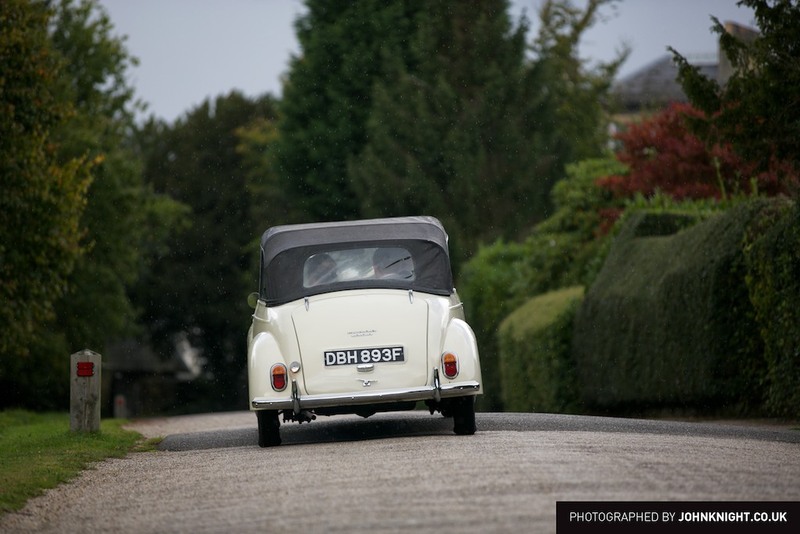 Every Morris Minor has a name, plenty of history, and it’s own character. Dibble the convertible is no exception. Finished in beautiful olde English white paint and fitted with a black interior and hood, Dibble gets admiring glances wherever he goes. He was built at the Morris Motors Cowley works in 1968. 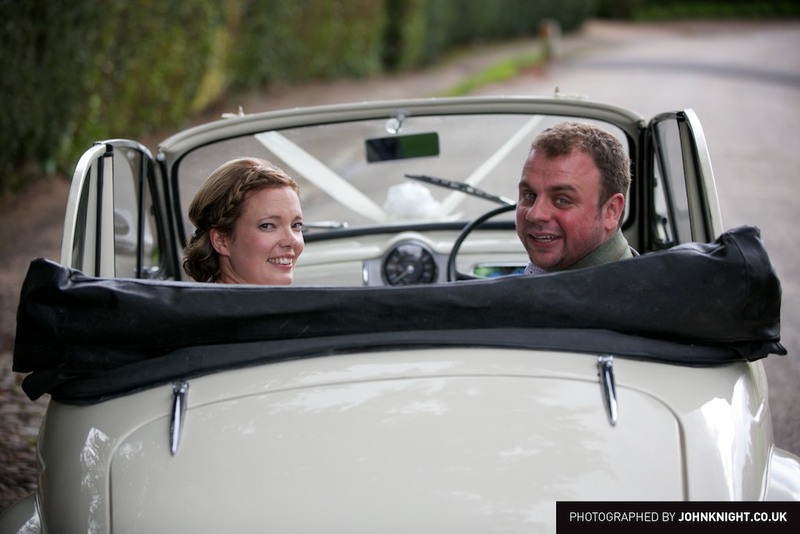 After a period as an everyday car he was acquired and named “Dibble” by his previous owner in the late 1970’s, restored in the early 1980’s and used as a wedding car as well as a show car for the next two decades. However, requiring more serious restoration, Dibble sat in a garage until rescued by John Matthews in 2006. Dibble was painstakingly stripped back to bare metal restored and re-painted by John Matthews over the next four years to the beautiful original condition you see him presented in now. Since then Dibble has been to Scotland and back, appeared in a Steve Coogan film and drove the Mayor and Lady Mayor in the 2012 Margate carnival. Truly a star car. 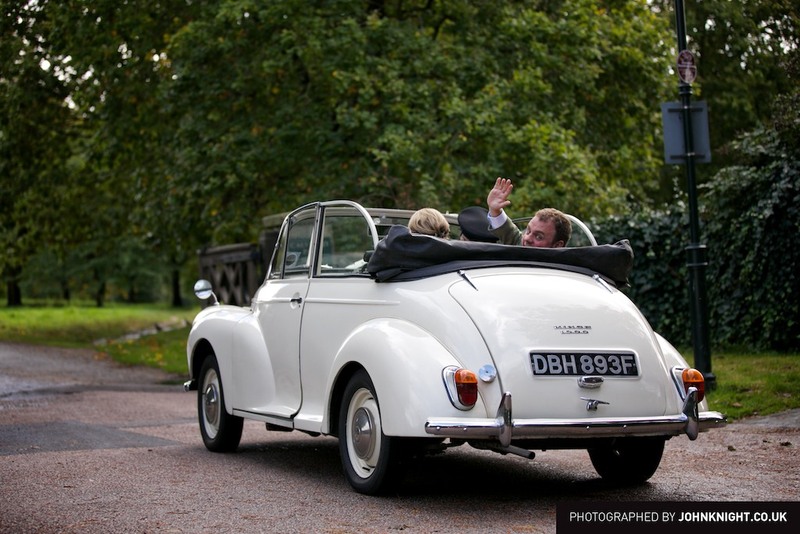 A Morris Minor convertible makes a quirky alternative to the ubiquitous Rolls-Royce or limo. With it’s charming good Art-Deco styling and drop-top chic, people wave and smile as we drive by. Perhaps there is a family connection, your parents used to own a Minor or you drove one yourself, or you just like the Morris Minor marque. 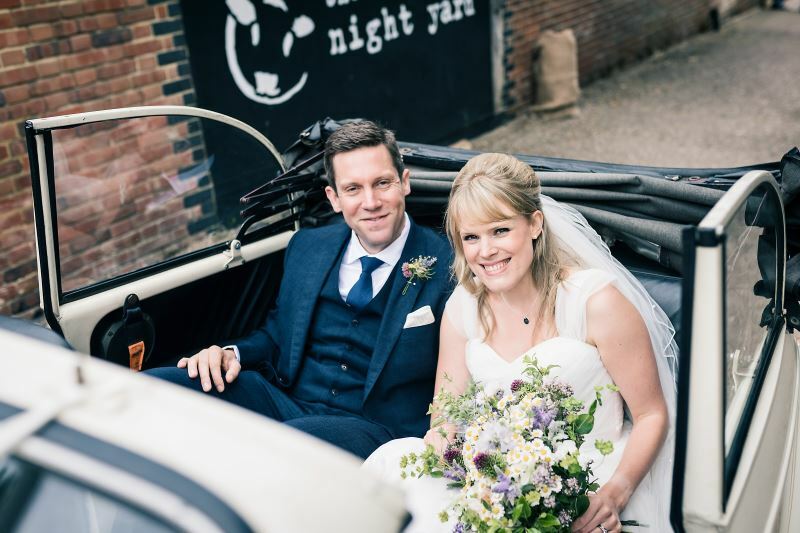 While not the fastest of classics, the Minor features comfortable seating for two in the back and smooth suspension ensuring a comfortable ride to the ceremony and to the reception. Make no mistake “Dibble” is a conversation starter. 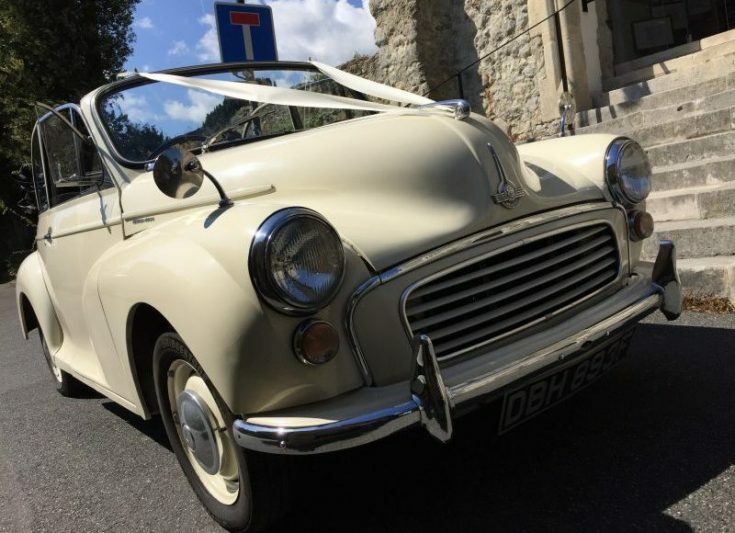 If you’re looking for luxurious wedding day transportation in a petite package you simply can’t go wrong with our beautifully stylish Morris Minor Convertible. 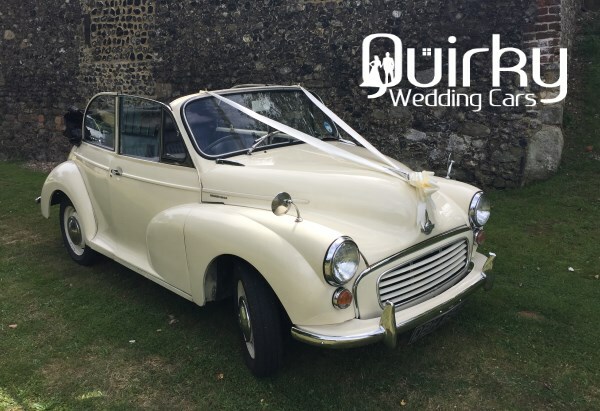 Quality, unique, wedding car hire at it’s best! 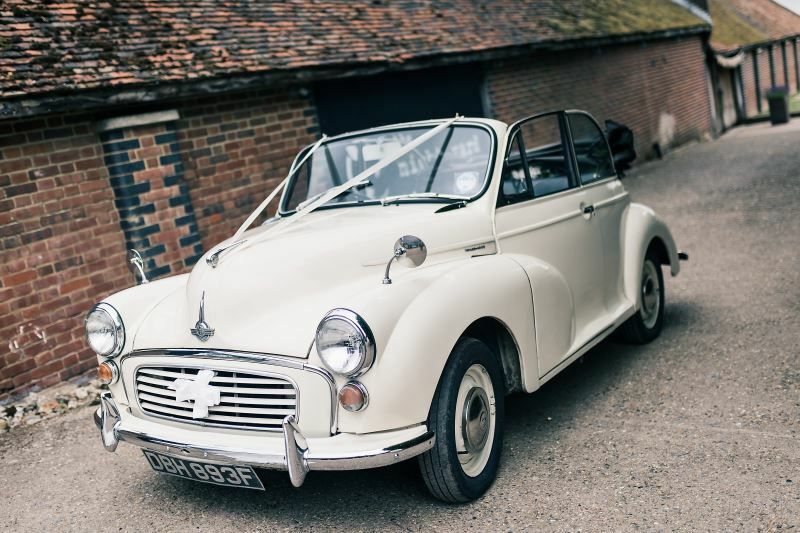 And what better vehicle to choose for the quintessential English country wedding?